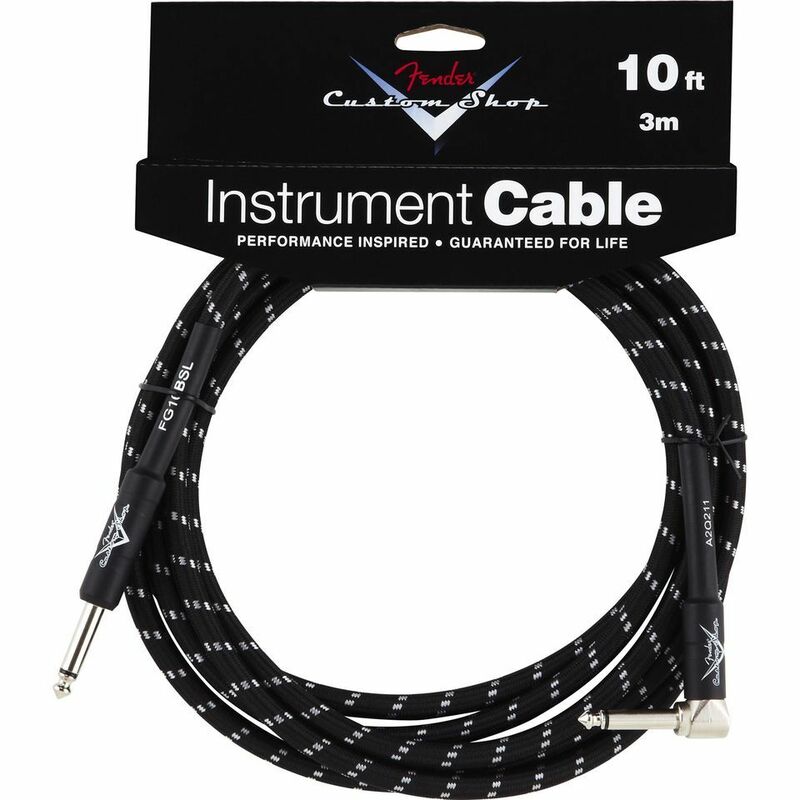 The Fender Custom Shop 6.3mm Mono Straight-Angled Jack Cable Black Tweed 3m is a custom-designed cable featuring ultra-quiet, commercial-grade connectors. Designed specifically for live performances, the Custom Shop Black Tweed Cables are engineered to avoid twisting and kinking so they can always deliver the best sonic balance between performance and equipment. An extra-thick braided jacket offers ultimate durability and a 95% copper coverage shield provides less noise interference. Very good cable, not much interference manages to slip in, even in situations where the electrical shielding is poor and other cables don't manage, this will do it for you. ...and good sound! Recommendation for hard rockers. Channels the signal perfectly to help you maintain your tone. No interference or hum. Just a great looking and very capable product. Highly recommended. theres no danger on damaging the cable itself.